Neal’s Yard Remedies is a brand that I have a lot of love for. From their iconic blue packaging, to incredible natural ingredients their products scream quality and luxury. Although I wouldn’t position NY in the luxury market, their products have incredible essence and effectiveness. I got my hands on their Lavender Bath Salts and for the past month I’ve used them around twice a week in my evening bath. Firstly the packaging, well, for the money you pay I think it’s fantastic value, the tub is huge and lasts so so long. You also get yourself a little spoon (one is just enough for your bath), and once sprinkled into hot water, they dissolve instantly releasing the soothing aroma. Now lavender as you are probably well aware has great relaxation properties, and helps wind you down after a long day. 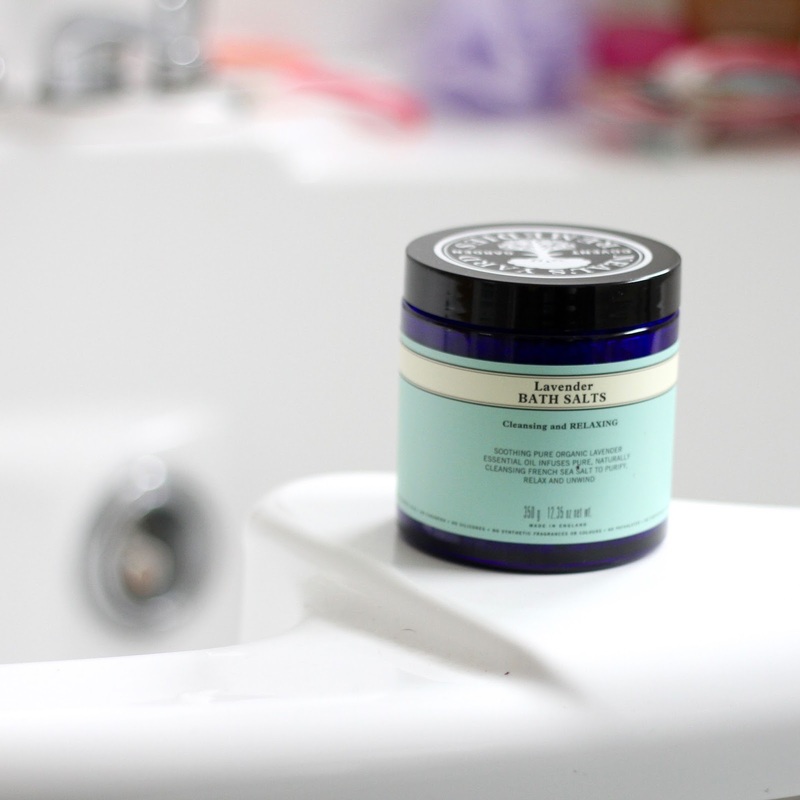 This is why it is perfect in the bath salt formula for your evening pamper session. 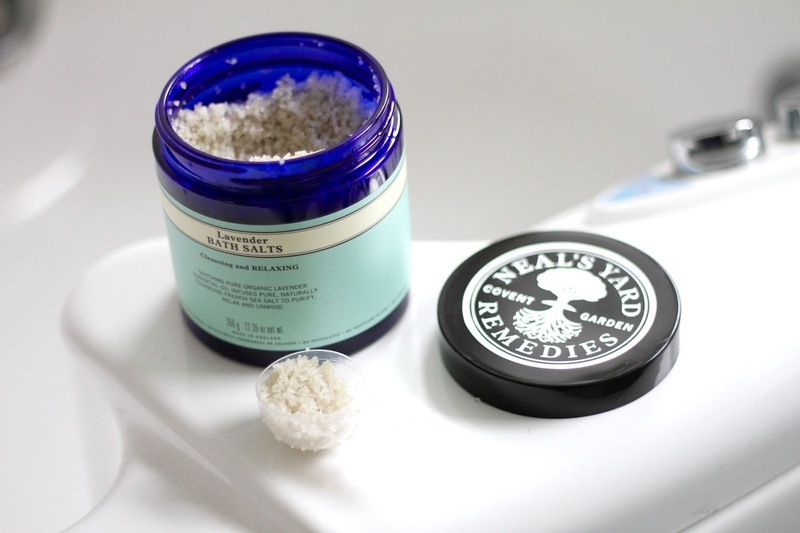 The thing about bath salts (rather than bath bombs) is that it leaves no dirt in your bath and involves no scrubbing the tub afterwards, they are also a lot more aromatic and luxurious to use. Containing sea salt from French salt marshes, and pure organic lavender oil, this concoction of natural ingredients is the perfect end to your day. What are your favourite bath salts? Previous Post 10 Quotes To Live Your Life By. Next Post How I Edit My Instagram Photos.